Through our services, we strive to make a positive difference every day. Please take a few minutes to tell us about the quality of service and assistance that you have received so far. We appreciate your business and want to ensure that we are meeting your expectations. Located in Rosedale, Maryland, we serve the local community and its neighboring areas. We accept Medicaid Home Waiver and other insurance plans. We offer care for a few hours up to 24 hours a day, every day of the week; on a short or long-term basis. 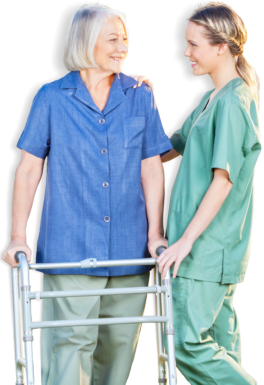 Beyond care does an excellent job of meeting our needs, and adjusting to every situation. I would recommend them to anyone who needs elderly care of any type. They’re pricing is very reasonable, and the staff is easy to get along with.